Every Monday morning tens of thousands of companies around the world head into the office for the often dreaded “Monday morning operations meeting.” This meeting can be an equally boring and unproductive gathering of tired minds for many, but for some, it’s an opportunity to get going past the competition. Whether it’s on Monday or another day of the week, having effective operations meetings is key to running a healthy and profitable organization. Let Function Point Help Today! A calendar invite is an essential tool for keeping everyone on the same page, while often utilized by older millennials and young Gen X’rs, more and more business professionals are embracing the use of calendar invites to confirm meeting attendance. Setting a recurring meeting ensures no one can use the “I didn’t get the calendar invite” excuse, it gives you the ability to attach an agenda and make updates to the meeting without having to email everyone separately. One of the main benefits of using Function Point to manage your projects is its ability to output reports that give incredible insights that you can use to run an operations meeting. The whole point of tracking expenses and time is to have greater insight into the profitability, or lack thereof, of your jobs. For my company, Clum Creative, a corporate video production company, we use the “Gross Profit Analysis” to essentially serve as a meeting agenda. Using these reports are important, but by the time the meeting starts, it’s too late to run the report, it should be printed in advance and handed to each meeting attendee so it can be referenced. If your meeting is set to start at 9, chances are, between people stumbling in a few minutes late and trying to quiet all the side conversations, it’s really starting at 9:10. In order to keep the day moving, schedule the meeting for 15 minutes before you actually want to it to start. In addition to doing this, setting a serious tone and culture around start times will help increase productivity. If your company has been plagued with a culture of tardiness, here’s a resource for working on reversing it. Creating teams that root for each other and have camaraderie is vital to team longevity, especially in the straining agency world. Starting each meeting with prompted positive sharing time allows each member of the meeting to feel listened to, expressed, and part of the greater picture. The first agenda item of every meeting should be to go around the room and allow each person to share one piece of positive business news from the past week. Including this in the first 15 minutes of your meeting adds a boost of positivity to your week, and keeps people focused on what’s working instead of always focusing on mistakes. Really want to get into this? Dive into specific words that can increase positivity in your next meeting. Team Leader: The team leader is typically the most ‘senior’ person in the room and the one who answers the high-level questions. They have the most experience and authority in being a final opinion on decisions. The team leader introduces the meeting, passes off to the discussion leader, and then observes and takes notes for ways to improve and coach the meeting moving forward. Discussion Leader: The discussion leader is in charge of the flow of the meeting and ensures conversation move smoothly, on time and that each agenda item is covered. Scribe: The scribe takes notes, tracks action items, and is responsible for assisting with follow-up items post-meeting. Do not let side conversations run beyond 20 seconds. It’s okay to have a quick side comment or make a little joke here and there, but the team leader should keep side conversations to a minimum in order to keep the focus on the purpose of the operations meeting. If these topics do come up, respectfully remind the group of the purpose of the meeting and offer to arrange a follow-up discussion to be had later. Especially in smaller agencies, there will be times when vital team members can’t attend the operations meeting, this is one kind of meeting where you don’t want to just say “okay, see you next week.” Set up a condensed version of the operations meeting that includes the team leader, discussion leader, the scribe and the specific individual who couldn’t make it. One of the main components of an operations meeting is making sure your projects are profitable. Profitability will fall apart unless your team has a strict culture around expenses. The operations meeting is the perfect channel for integrating a meaningful culture around expenses and expense approval. When discussing each project, ask penetrating questions about each and every expense, showing that you care about the money and time being spent by directing an appropriate level of criticism towards each expense and time allocation. This will also help promote using a critical eye when spending money and time (which is money) on behalf of the company. Another element of the operations meeting is figuring out the next steps of each project. While some tasks are things like “complete the creative brief” or “export a rough draft for the client’s review”, there are a lot of tasks that can be completed within 10-25 seconds, such as sending a follow-up email. Ending on time is almost as important as starting on time. Allowing meetings to drift off into the abyss encourages unproductivity and a lack of structure. Ending the meeting on time will show staff that their time is respected and will set the tone for future meetings if there are essential items that still need to be discussed, schedule a follow-up operations meeting for later that day or within the next few days. These 10 tips have helped our organization drive down costs, improve meeting communications, and making the team more effective and productive. Let us know your tips for keeping operations meetings effective in the comments below! 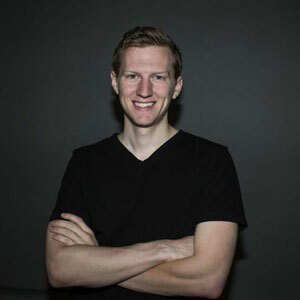 Mike Clum is a media entrepreneur who leads Clum Creative, founded in 2011. The company serves corporations and entrepreneurs around the world producing powerful video assets that drive revenue and solve business problems. He and his company’s work have been featured in Forbes, Huffington Post, Inc.com, Business Insider and more.